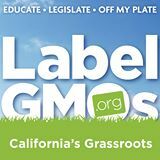 Aaron is joined by Anet Aguilar, who’s been out there working hard to get an initiative on the California ballot that would require all GMO foods to be labeled. Anet talks about how GMOs affect not just the U.S., but also Mexico, as corn is a staple food there. The two, having learned about genetically modified corn from very different backgrounds, share their knowledge on the issue and let the listeners know what they can do to stand up to Monsanto.